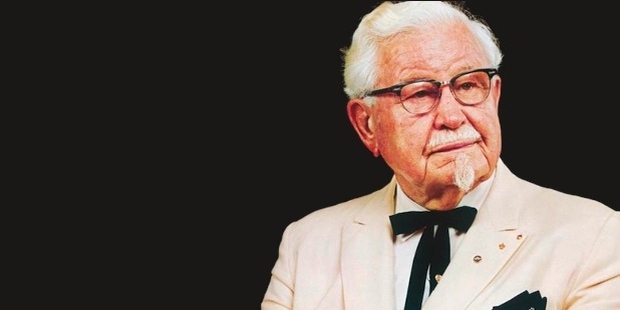 Colonel Harland David Sanders was an American businessman and was best-known for founding the popular fast-food chicken product chain Kentucky Fried Chicken (or KFC). 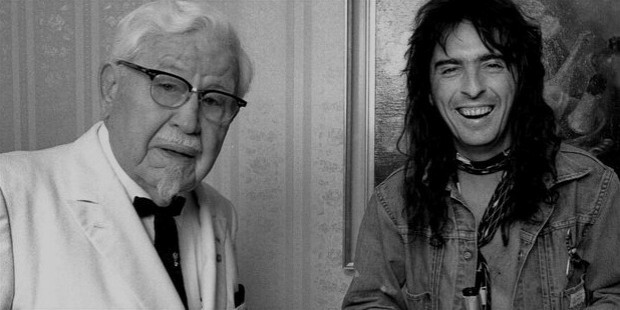 He also acted as the company’s goodwill ambassador and symbol which are still in use today. 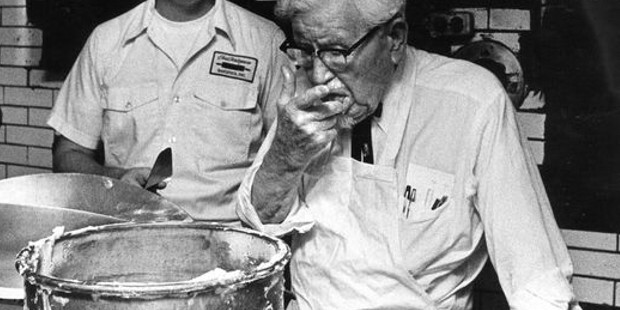 Harland David Sanders was born on 9th September, 1890 in Henryville, Indiana. He was born to Wilbur David and Margaret Ann (nee Dunlevy) Sanders and was the oldest of 3 children born to the Sanders. 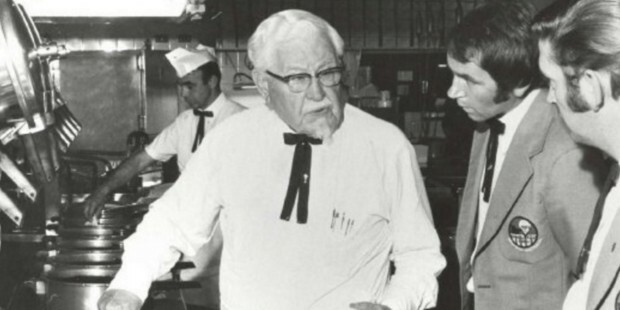 The Sanders family was devout Adventist Christian. His father owned an 80-acre farm and worked on it till a fall broke his leg, after which he started work as a butcher for two years in Henryville. 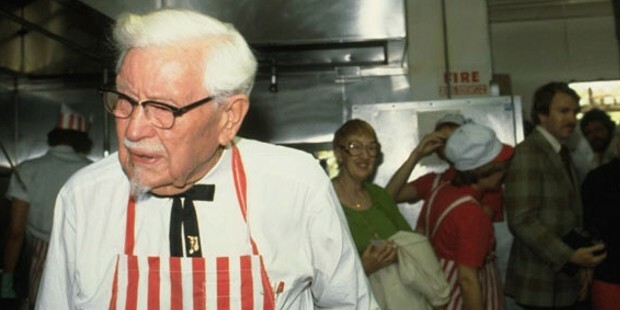 After his father passed away from a fever in 1895, Harland was responsible for looking after his siblings and cooking for them while his mother worked in a tomato cannery during the day. He became an expert at bread and vegetables and began improving his skills with meat. In 1902, Harland’s mother married William Broaddus, and the family shifted to Greenwood, Indiana. Harland had a tumultuous relationship with this step-father and he dropped out the next year (1903) while still in his 7th grade in school, to live and work in a nearby farm. 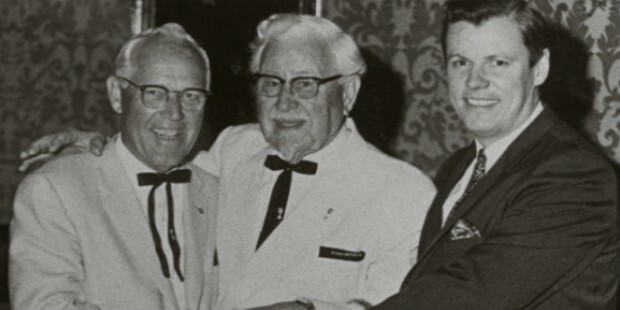 At age 13, Harland landed a job painting horse carriages in Indianapolis and the next year, at age 14, Harland moved to southern Indiana to work as a farmhand at Sam Wilson’s farm for the next two years. In 1906, Harland left to live with this uncle in New Albany, Indiana, who worked for the streetcar company and Harland worked as a conductor. In 1906, Harland falsified his date of birth to enlist in the US Army and completed his service as a teamster in Cuba. After an honorable discharge in 1907, Harland went back to live with this uncle in Sheffield, Alabama. Harland worked for the Southern Railway as a blacksmith’s apprentice in the workshops. Two months later, Harland moved to Jasper, Alabama and got work cleaning out ash pans from the trains for the Northern Alabama Railroad and went on to become a fireman (steam engine stoker) by age 16. In 1909, Harland worked as a labor for the Norfolk and Western Railway. While working there, he met and married Josephine King in the same year. Harland began taking an interest in Law and started studying it at night through correspondence from La Salle Extension University, after he moved his family to Jackson, Tennessee. Harland would later move to work for the Rock Island Railroad Company. After a short time in Little Rock, Harland began practicing law there for around 3 years before being disbarred after an altercation with this own client in the courtroom. 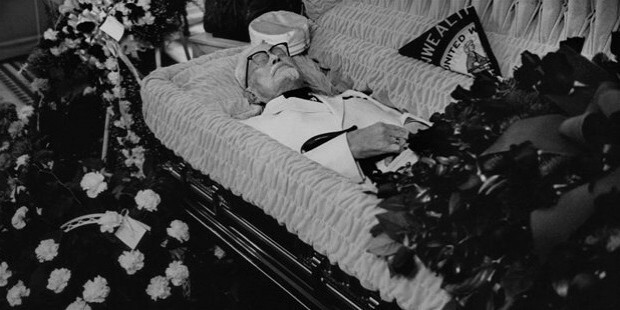 In 1916, Harland got a job at Prudential Life Insurance Company as a life insurance salesman and moved to Jeffersonville. In 1920, Harland started a ferry boat company and operated boats between Louisville and Jeffersonville on the Ohio River and soon became the minority shareholder and a secretary in the company with the company being an instant success. Harland eventually sold his shares (worth around $306,000 today) and established an acetylene lamp manufacturing company which failed to take off after the introduction of the Delco electric lamp. Harland worked a string of varied jobs before moving to North Corbin, Kentucky in 1930. Here, Harland was offered a chance by the Shell Oil Company to open a service station on percentage of sales basis. 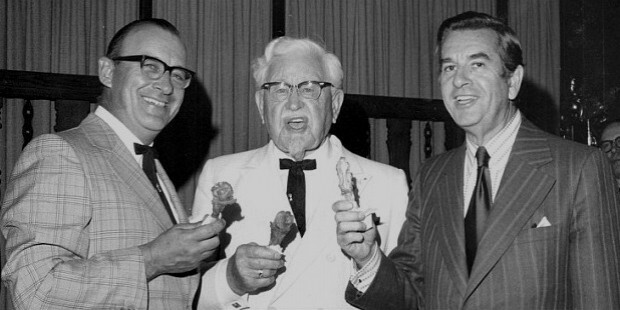 Harland began serving chicken dishes and other meals in the restaurant. 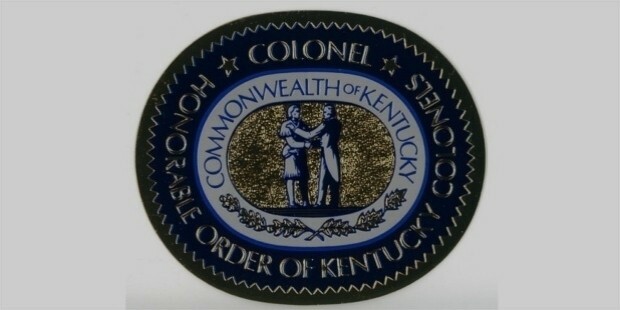 In 1935, Harland was named as a Kentucky Colonel by then Kentucky governor Ruby Laffoon. 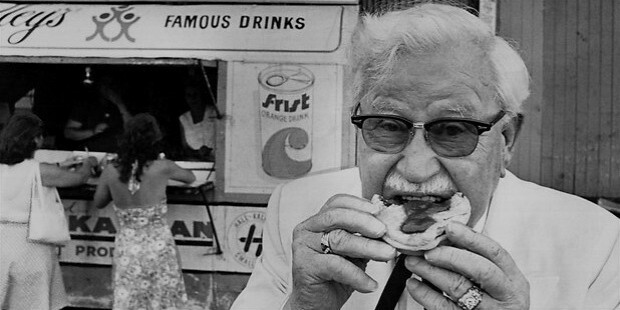 In 1939, owing to growing popularity Harland’s fried chicken soon became the talk of the town. 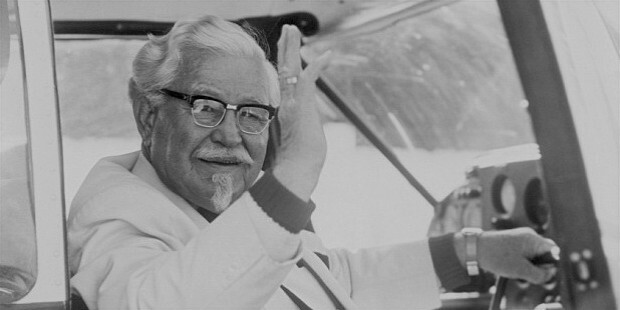 In July of the same year, Harland bought a motel in Asheville, North Carolina and by July of 1940 had finalized his ‘Secret Recipe’ for frying chicken in a pressure fryer which was a faster way to fry chicken than pan frying. In 1941, Harland’s business suffered deeply due to the rationing of gas by the government for the WWII. He went on to work at different places until 1952. 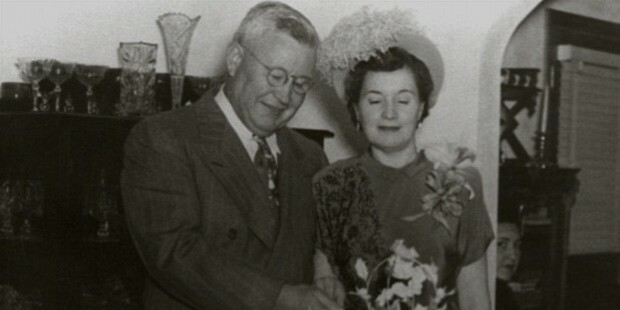 During this period of time, Harland would go on to divorce his wife and marry his mistress, Claudia Ledington-Price in 1947. 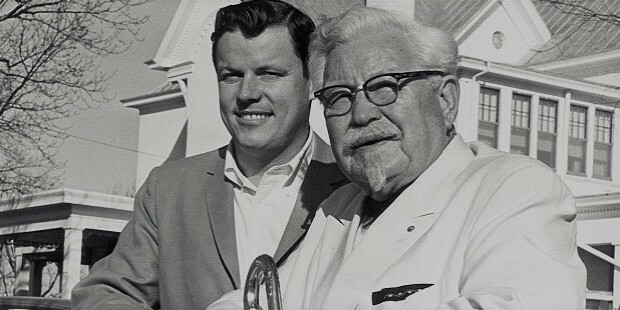 In 1952, Harland franchised ‘Kentucky Fried Chicken’ to Pete Harman of South Salt Lake in Utah, who owned one of the largest restaurants in the city. 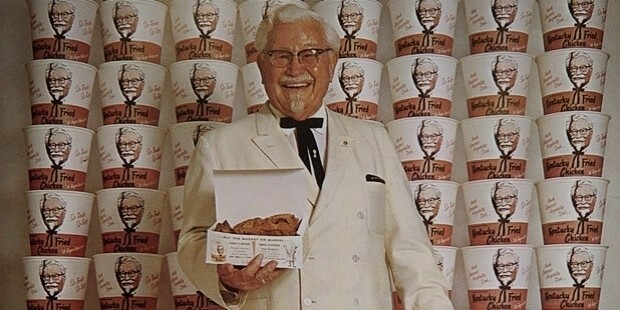 With a triple-fold increase in restaurant sales in the very first year of selling Kentucky Fried Chicken, the dish became increasingly popular as time went by. 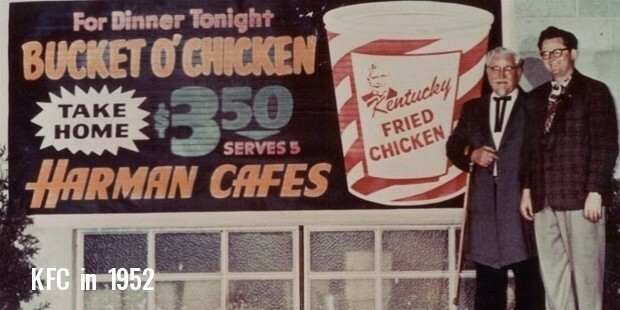 By the mid-1960s the KFC franchise had opened its international branches in places such as Canada, Mexico, Jamaica and even England. 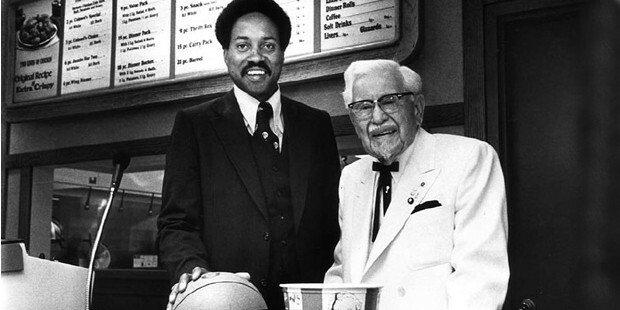 In 1964, at age 73, Harland sold the Kentucky Fried Chicken franchise company for around $2 m to a partnership of Kentucky businessmen. In 1909, Harland while working for the Norfolk and Western Railway met and married Josephine King of Jasper, Alabama. The couple went on to have a son, Harland Jr., who died in 1932 from infected tonsils, as well as two daughters, Margaret Sanders and Mildred Sanders Ruggles. In 1947, Harland divorced Josephine to marry long-time mistress, Claudia Ledington-Price in 1949. In 1980, Harland was diagnosed with acute leukemia and died on 6th December, 1980 at age the age of 90 years at the Jewish Hospital in Louisville, Kentucky of pneumonia.